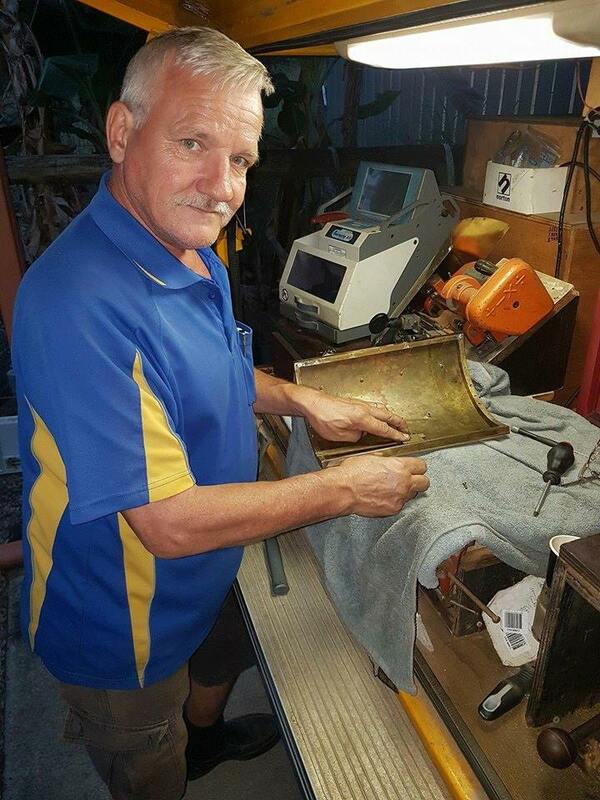 We got a phone call from Kelly at St Bernardine’s Catholic Parish the other day with an unusual lock problem. They had recently refurbished their tabernacle and since then the lock hadn’t been working very well. Today they couldn’t open it at all and needed us to repair the lock. Being told that the refurbishment involved a polishing machine immediately we suspected that the vibration had caused parts inside the lock to fall out of place. Repairing a lock requires a lot of patience. It took a lot of jiggling to get the tabernacle open and then we had to take the door off to be able to take the lock apart. When we did it confirmed what we had thought all along. We serviced the lock and put things back together the way they belonged. The parish priest was very grateful that he is now able to lock the tabernacle once again as the only alternative was to replace the whole thing costing thousands of dollars.